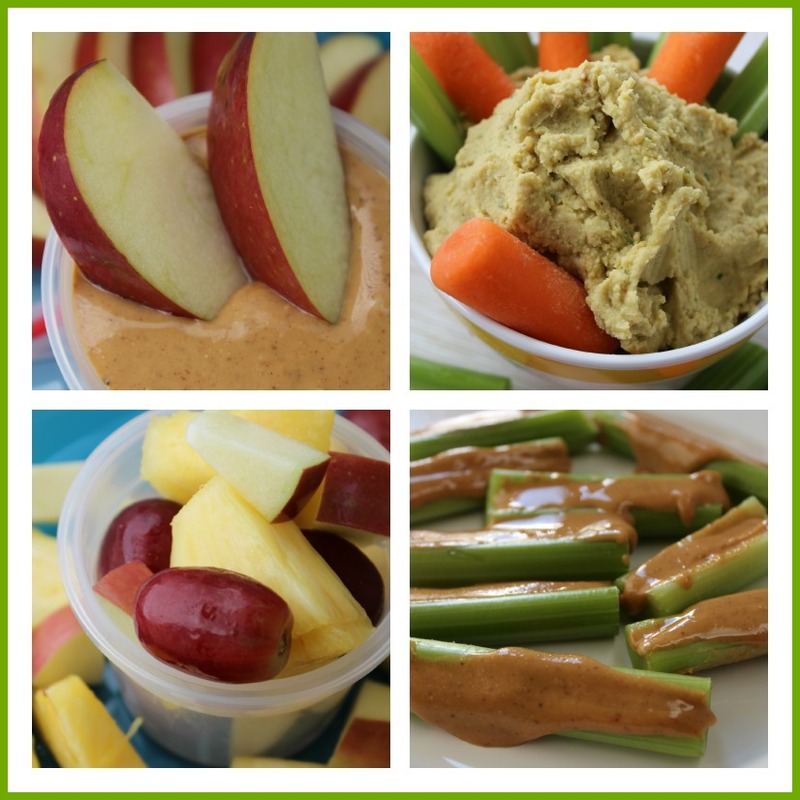 Healthy Ideas for Kid Lunches! With LOTS of little ones back in school, LOTS of moms are trying to adjust to new schedules, demands, and requirements. Busy kids = Busy moms. Since you have enough to worry about, kick up your feet for a moment and let me help you with a couple healthy lunch ideas! 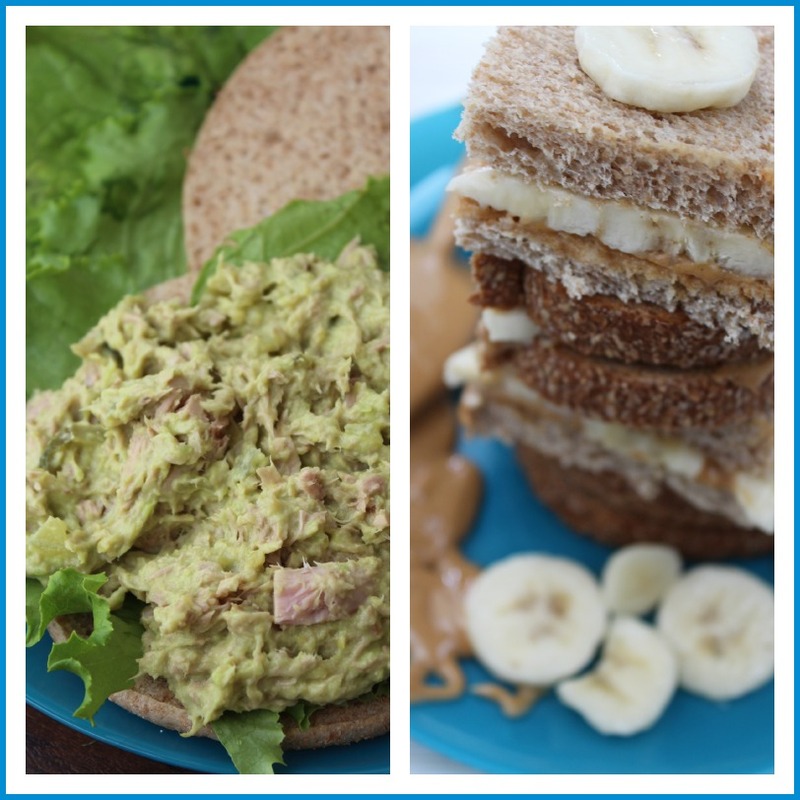 Your kids will LOVE this healthy tuna sandwich. In a medium-sized bowl, combine one mashed ripe avocado, 1/4 cup Greek plain yogurt, 12 oz can of tuna (drained), 1/4 cup finely chopped pickles, and 1 Tbs pickle juice. Mix well. Serve on top of lettuce leaves and whole wheat sandwich thins. You can also try my Avocado Tuna Grilled Cheese Sandwich. Do your kids love PB & J’s? Forget the J and replace it with a BANANA! It’s quick, simple, and packed with nutrients instead of artificial dyes, flavors, sugars, and who knows what else is in jelly! I also love using almond butter instead of peanut butter. Be sure to read the ingredients on your PB (it should only say peanuts!) OR try freshly ground peanut or almond butter. Also, to prevent your banana slices from browning, just coat them in a little fresh pineapple or lemon juice prior to putting them on your sandwich. One last thing… READ THE INGREDIENTS on your whole wheat bread! Find bread that only has ingredients you can pronounce and actually know what the ingredients are! Provide some great fruit and veggie side options like a fresh fruit cup, celery or apples with peanut or almond butter, or carrot and celery sticks with basic hummus or edamame hummus. They’ll LOVE having something delicious to dip their fruits and veggies in. Find some treats that don’t have artificial flavors, dyes, or sweeteners. Again, READ THE INGREDIENTS of all prepacked foods. One of my most favorite treats are Clif Bars. They’re like a glorified candy bar packed with protein and fiber. These are a great lunch time treat option. 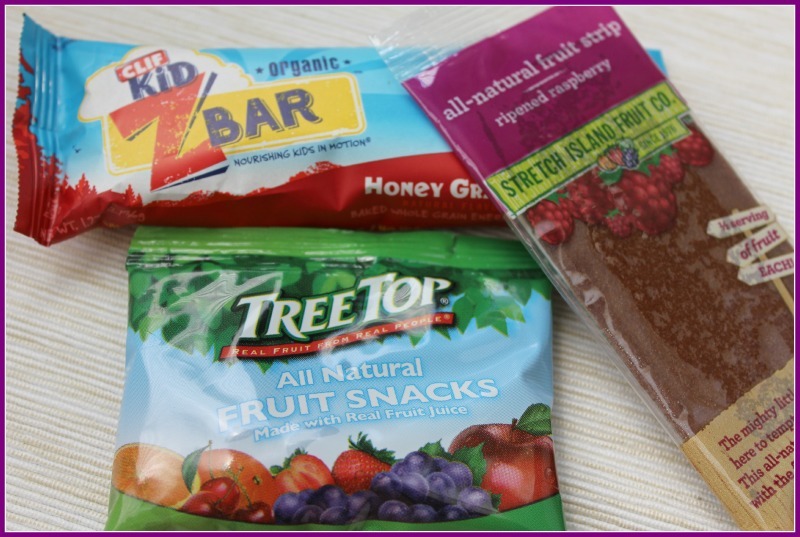 What has been a challenge when attempting to make healthier lunches for your children? Love these!! Always need some new great ideas! Thanks for sharing. Thanks, Kara! I’m always happy to provide some new and healthier ideas. Great ideas! I’m always trying to think of healthy lunches for my little girls. Pinned this! Thanks, Alexis! I hope your girls enjoy them.